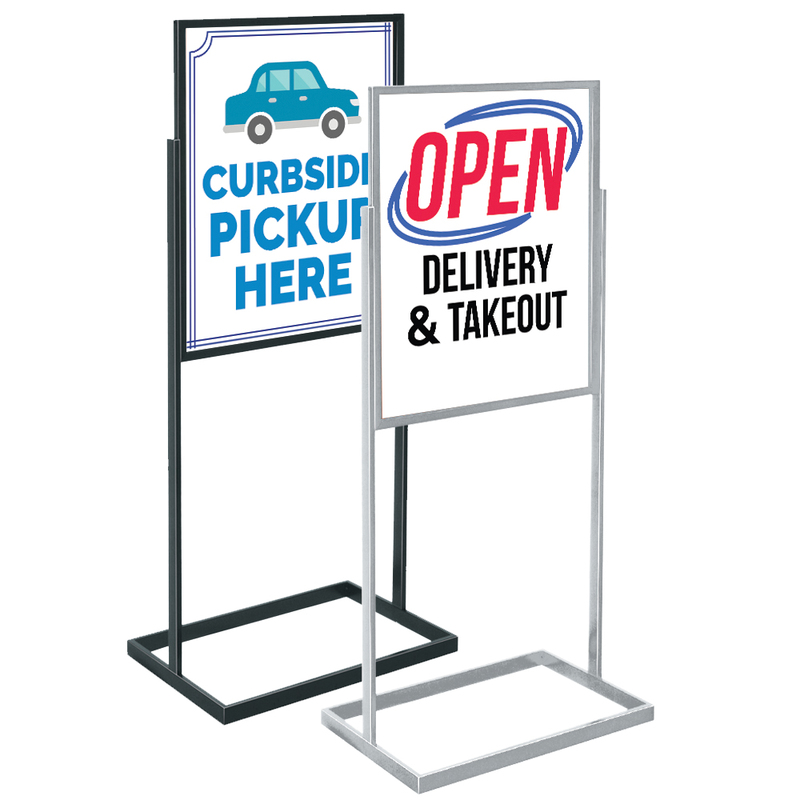 Freestanding sign holder attracts attention to your promotions! Premium Frame holds 22 in. x 28 in. posters or signs. Frame has rectangular metal tubing for extra support. Top loading 3/16 in. W slot. Add a clear protective plastic to keep your signs neat, search item 4413A. Available in black or chrome.